Rediff.com » Movies » Here's how the Kolaveri Di song happened! Here's how the Kolaveri Di song happened! He is the new kid on the block. 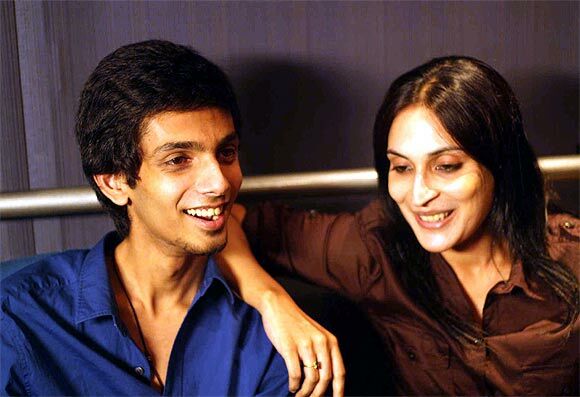 Anirudh Ravichander, a 21-year-old music composer, landed his first job when Aishwarya R Dhanush's roped him for her directorial debut 3, starring her husband Dhanush and Shruti Haasan. Now, the very first song he worked on for the film has become a rage not only in Tamil Nadu but across India and abroad too. Young Japanese women are dancing to the song, youngsters all across India have just one playful question, "Why This Kolaveri Di?". The Kolaveri song went viral on the internet when it was digitally released by Sony music on November 16. It's been more than 10 days since but the song is only rising up in popularity charts. 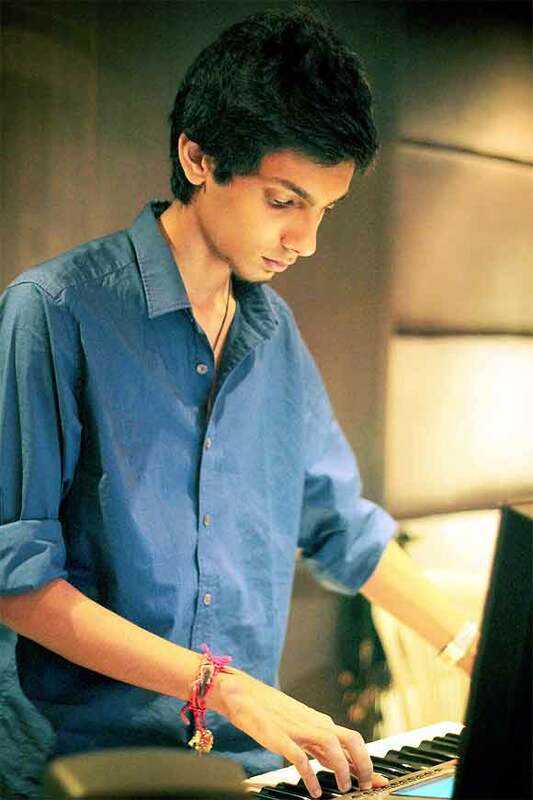 In this interview with Shobha Warrier, the young composer talks about how Kolaveri started. What came first, the tune or the lyrics? The tune came first. Once I came up with the tune, Dhanush heard and sang the words. The entire process was over in 20 minutes. What was Aishwarya's instruction to you when you were to compose the song? She narrated the situation and said it was about failure in love. It's surprising how the tune came to my mind immediately, in just five minutes. After that, Dhanush heard the track and liked it. Then, he started singing, just for fun. The first line he sung was, why this kolaveri? Watch: Dhanush's Kolaveri di is a sensation! Why this Kolaveri means why do you have this murderous rage against me? The question is in a lighter vein. Were the funny lyrics also a part of Aishwarya's instructions? Not at all. It just happened. Dhanush sang in broken English, like a Tamil guy would sing if his knowledge of English was limited, and we used the same thing for the whole song. As he came up with the lyrics, we felt they were really apt for the song. We just used colloquial words that we use in daily life like holy cowu, etc. Why is it called a Soup song? Soup is a colloquial Tamil word used for guys who go through failure in love. Words like these are used by young guys in real life but in a song, we were introducing them. And these words have worked well for the song. The song ends in a crescendo. Was it planned or did you improvise? I had planned it that way. I like my songs to end in a crescendo. The tune starts simple with very few instruments and I keep adding more and more instruments, and finally the whole thing ends in a crescendo. You have incorporated many instruments in the song. Yes. It is my debut film, and my debut single song. So, I wanted to go all out with the album. I have used a very ancient south Indian folk rhythm. I recorded the rhythm with ancient folk instruments and then wanted to go for some western instruments like acoustic jazz guitar, etc. Then I added shehnai, nadaswaram and a saxophone. I tried to use all elements from across the globe, and not just south Indian or north Indian. Though it is a song with predominantly local flavours, the lyrics, the simple tune and the instruments I have used made it a success. When you composed the song, did you expect it to become so popular? Not at all. I am yet to recover from the shock of it all! It is my first single and everybody dreams of their song doing very well. I thought it would do well with the youth of Tamil Nadu. But what has happened was beyond all my expectations. I can't describe the force that has made the song such a great success. There is a video on the internet of some Japanese women dancing to your song. Yes. I saw it yesterday. I don't know how to thank God. I'd like to thank my team for giving me such a film. And also, Sony Music for marketing the song so well. I felt ecstatic in the first two days but I tried to remain rooted. I realised that this high is going to go away after four-five days. Now, I have to concentrate on the rest of the album and work harder. Have you always been interested in composing music? I have been composing songs since I was 10. But those tunes were bad! I have a copy of all those tunes and it is fun listening to the old songs (laughs). I was a part of a band in school and later when I went to college. Even as a kid, I knew this was what I wanted to do. I am really, really grateful to God that I could do what I wanted. Yes, I learnt western classical piano from Trinity College of Music, London. I wrote my exam here in Chennai. I also learnt Carnatic music, and was part of a Carnatic fusion band. In college, I was part of a rock band. Not at all. That is why I feel it is a real blessing from God and I feel happy about it. You entered a TV show that was judged by A R Rahman. How did that happen? That was when I was in school. I was a part of a fusion band and we were the youngest in the show. Rahman is an icon for everybody who was born in the 1990s. So when we came to know that he was judging a competition and there was no age limit, we decided to participate. There were professionals who'd participated in that competition too but we won! I got the Best Instrumentalist award from Rahman Sir. Till then, I was composing tunes for fun but after I won the award, I thought I had to be more serious about what I was doing. How was it collecting the award from Rahman? Did Rahman listen to your song? I recorded the song in his studio only. I was told that he listened to the song and liked it very much. How did you get to compose music for Aishwarya's short films? She has known me for many years. She's been making short films for fun and had asked me to compose songs for them. So, I composed songs for all her short films. All this happened when I was in the first year of college. That was a great homework for me. Did you expect her to call you for her first feature film? Not at all. I thought it would be over with the short films but because of the wonderful vibes we shared for two years, she called me to compose for her first film also. The song is a huge success but puritans have criticised it for its lyrics and the tune. How do you react to that? I have understood that if 1,000 people like your song, there will be five or six people to criticise it. On the internet, there are about 80,000 likes and 800 dislikes. I am happy that the dislikes are in minority! Puritans say there is no melody in the song.. 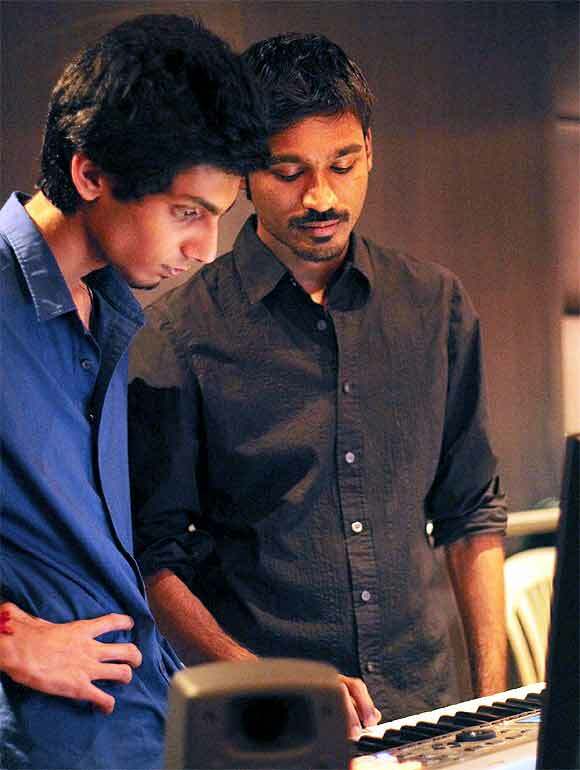 There is not going to be another song like Kolaveri in the album. Other songs are going to be pure; pure lyrics and pure tunes! How has the film industry reacted to the huge success of your song? I haven't got any reaction from the Tamil film industry. But I have got a lot of response from the Hindi film industry. Have you started getting offers from Hindi? Yes, a lot of offers. I don't want to disclose anything till it is confirmed. But right now, I am only concentrating on my first film 3 and the rest of the songs in the album.